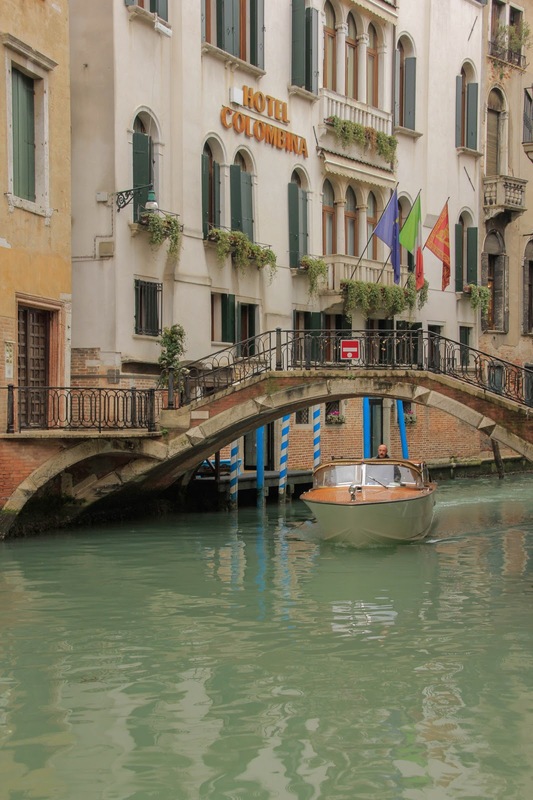 The Hotel Colombina is the ideal place to stay in Venice. 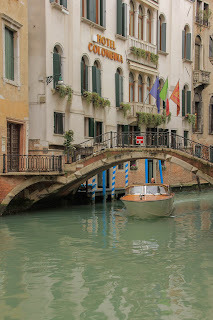 It is located directly on the grand canal, so water taxis pick you up at dock’s door. While only a five minute walk to San Marcos square, it is tucked away on a quiet side street, offering a bit of solitude away from the crowd. It provides the perfect combination of old-world charm and modern-day conveniences. *View other Wordless Wednesday photos here. It looks and sounds lovely! Can I go with you when you return? True, BethF … it is like no other place in the world! How very beautiful! Love the fact that you shared this with us. Thanks for the tip on where to stay in Venice. I haven't been yet so this is definitely good info I need. Three families booked rooms at the Colombina, and none of us were disappointed. I recommend the hotel with NO reservations. Hope you'll drop by http://image-in-ing.blogspot.com/2015/07/variations.html to link up.